Are you looking for a recurve bow which is the best regarding quality but price within your budget? Heard this you may think that it’s impossible to get such. However, Southland Archery Supply makes it is factual. You can fulfill your need for a traditional bow spending lowest ever price in the market. Yes, I’m talking about the best cheap takedown bow ‘SAS Spirit 62’’ Takedown Recurve Bow.’ It is also the best recurve bow for family fun and archery learners. The most attractive part of this bow is its riser. The riser made of three different types of wood which gives it a pale to yellow finish which looks stunning. The limbs are come up with low range poundage which allows your children to learn archer with it comfortably. The riser of SAS Spirit bow made with most excellent quality Asian wood - Chuglam, Gmelina Arborea, and Beech, which makes it beautiful and durable. Though the lamination of three planks brings a lovely pale yellow to creamy looks on the riser, there is a negative side too; it does not come with well finished. However, it will not affect its performance. The only thing that you have on mind, not use it in rainy season or coat a damp proof color for long-lasting. The best part of this riser is it comes with predrilled and has bushings for installation of accessories. So, you can set stabilizer, arrow rest, sights or plunger whenever you required. It also allows the latest technologies which can add with the help of an expert. The riser made for right handed or left handed person only. So, before buy, you have to check it carefully. If your left hand is more dominating along with your left eyes, you should buy left-hand oriented SAS Spirit riser. Otherwise, you will not get accurate shooting, or it may hamper on your arm. The limbs made of white color fiberglass lamination with Maple wood which not only looks beautiful, also makes it stronger against regular uses. As like riser the limbs also come with the rough condition but not nappy. Furthermore, the limbs of SAS Spirit is quite resistant against spiral and can endure several seasons of backyard practice or range shooting at woods. The SAS Takedown bow comes up with the strengths of 22# to 36#. Though this poundage is not enough for hunting big animals which required minimum 40#, it is pretty accurate and straightforward. You can get a clear-cut shot from a distance of 25 yards by maintaining ¾’’ groupings effortlessly. Though it is more of a target shooting bow, even you can hunt small animals like squirrel or rabbits with a 36# bow. It’s found reasonably tolerant against poor attempt and techniques during shooting practice by a younger archer. This inexpensive SAS recurve bow categorically designed for newbie archers which allow them to be familiar with this sport before touch a fancier or expensive one. The spirit 62 takedown recurve bow comes with 14-strand Dacron string. However, you can upgrade it up to 16-strand. It is noticeable that the bow accepts up to 58’’ string. 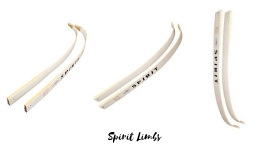 As the limb tips of SAS Spirit do not come up with the reinforced tips, it will not allow using FastFlight or Flemish string. The Spirit takedown bow is not the lightest bow in the market nor a heavier one too. 2.8-pound is a standard weight for beginner archers for long time target practice without any crumble or pain in hand. Among others features, quietness is an remarkable attribute of the spirit bows archery. Usually, low noised or quieter traits found in most of the expensive ones, and veteran hunter/shooter love it and doesn’t come behind to spend on this type of bow. Spirit is almost vibration free too. You can make it more soothing by using a silencer which will be helpful for hunting twitchy little squirrels. Q. Is the SAS Spirit a massive bow? Ans. : It is not so heavy, or not so lightweight recurve bow; it’s a medium ranged. It just around 3 pounds, it does not feel more substantial in hand and not cause any hand cramping or fatigue after hours of shooting. Q. Is it loud or quiet nature recurve bow? Ans. : SAS recurve bow not create any sound during shooting. It’s quiet in nature and almost zero vibration. Finding such a silent bow in this price tag is hard. Q. SAS takedown comes with a Dacron String, what else? Ans. 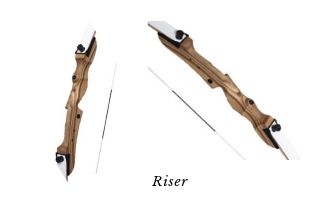 : In package includes only a 62’’ bow with a pair of limb, string, and an owner’s manual. You have to collect other necessary accessories like arrows, arrow rest, armguard, finger tab, and stringer additionally. Q. Is this bow suitable for fishing? Ans. : Yes, you can use it for bow fishing. Q. Is it assembled with string or need to join after unpacking? Ans. : It’s usually packed with the disassembled condition, so once unpacking, you have to set it to be ready to shot. However, it is not a hard job. Those who love hunting and love Southland Archery Supply, Courage SAS 60’’ is perfect for them. The Courage is more powerful (draw weight - 35# to 55#) than the Spirit. Thus it is suitable for a big hunting game. To get this fantastic bow you have to spend a little extra on the price of spirit. However, if you are a beginner archer SAS Spirit is a perfect match for you. SAS Explorer comes up with high strength casting aluminum riser which is durable and lasting year after year. The limbs of Explorer made of fiberglass with Maple lamination same as Spirit. As metal is more conductive than wood, so the riser may become hot or cold easily with outside weather which will not comfortable for holding. Explorer recommended for 6’ tall and right-hand persons only. The price and other features are almost the same as Spirit. So, if you like a metal riser, then you can go for Explorer. Otherwise, you can choose Spirit. For family fun, it is hard to find any alternatives other than the SAS Spirit 62’’ Takedown Recurve Bow. Southland Archery Supply believes in customer service, and that’s why they offered a 3-years warranty on its manufactured product. Though you have a little doubt about the quality of spirit as because of the low price, the warranty will cover you enough. So, for learning of your child or the entertainment of your friends and family, you can choose this recurve bow blindly.